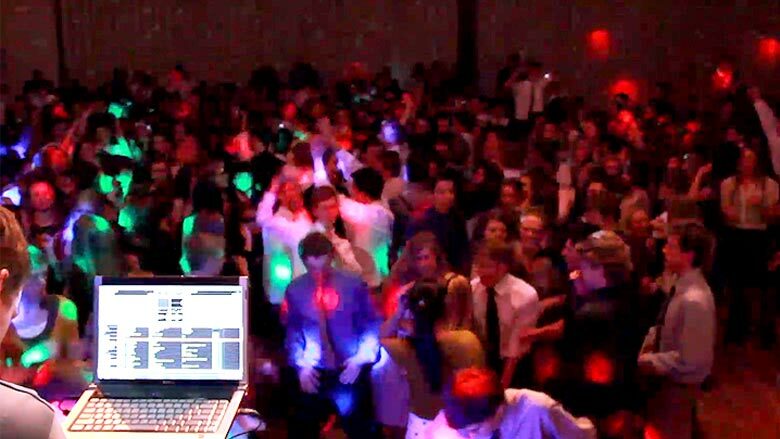 If you’re looking for a high-energy DJ to keep things hopping at your wedding reception, awards dinner, fundraiser, corporate event, convention, conference, or private party, DJ Corey, also known as HardCorey, will keep the crowd on the dance floor all party long. Corey specializes in weddings, private parties, corporate events and dances, but adds excitement to all types of events. Green Light also offers some amazing live wedding bands. DJ Corey’s extensive musical knowledge, love for public speaking and strong background in dance performance make him the perfect DJ for all kinds of events. He’s a crowd-pleaser that always keeps things exciting no matter what the audience age or background. When you want to add excitement to an event without breaking the bank, invite this fabulous DJ to the party and let the fun begin. Disc jockey Corey loves guest interaction at weddings and works closely with wedding couples to make sure their musical wishes are met in every respect. He can play just about any song imaginable and will customize the song list to meet his clients’ every demand. Corey is a fun-loving, personable, knowledgeable, skilled DJ that always brings his “A” game to the party. Whether you’re looking for a skilled and experienced DJ or a wedding music band, we offer high quality choices.